Christmas is on the way and Captain Wiskers–a.k.a your best feline friend–deserves a great gift for all the love they’ve given you this year. If you’re too busy to go shopping, just order gifts online during your lunch break! The great thing about cats is that every day can be Christmas because they don’t have calendars. You can give your cat presents every day, so if you can’t pick just one gift, get a bunch! No one knows your kitties better than you do, but here are a few ideas of gifts that your cat may love. Two fun cat tunnels for the price of one. 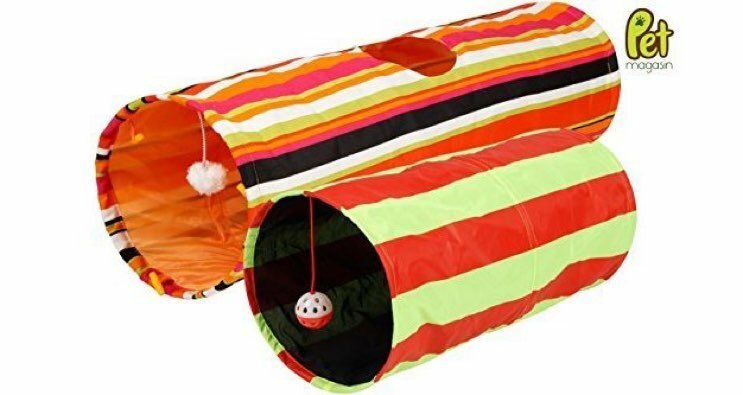 Cats love crawling into boxes and bags, and this collapsible cat tunnel gives the same kind of seclusion and fun with beautiful colors. 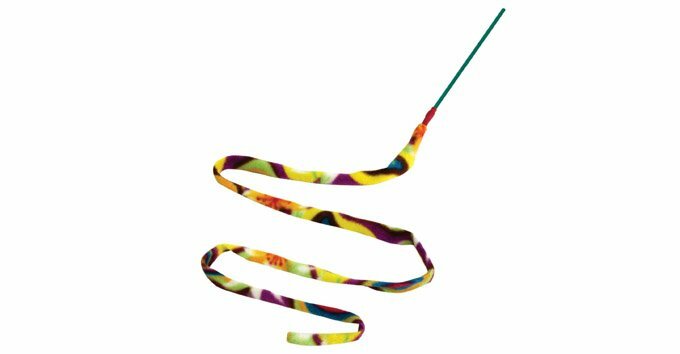 Easily captivate your kitten’s attention with this magical wand. It’s fun because you’ll be bonding and interacting with your cat, and they’ll be getting lots of exercise. Everybody wins! 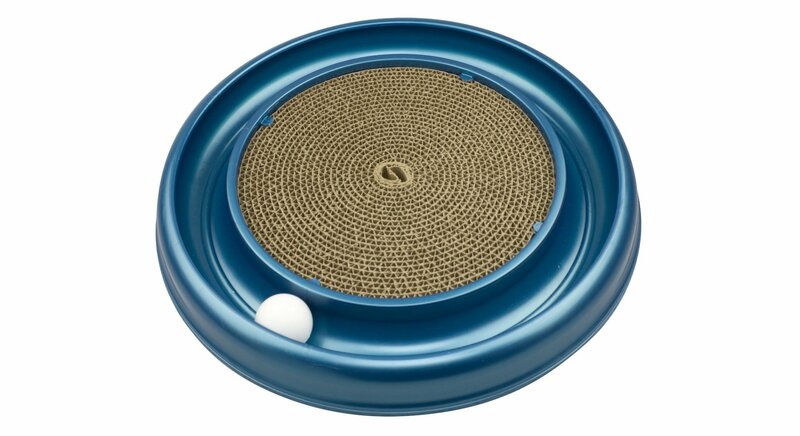 Captain Whisker’s will love to watch the ball roll around like a little white mouse and then let off some steam by sharpening those claws on that cardboard scratching post. 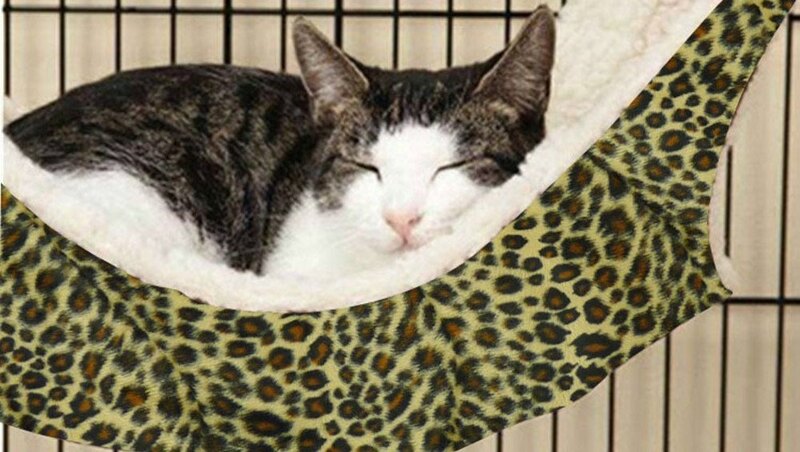 Every cat loves a hammock and yours will too! I’m not kidding, they go insane for these things. 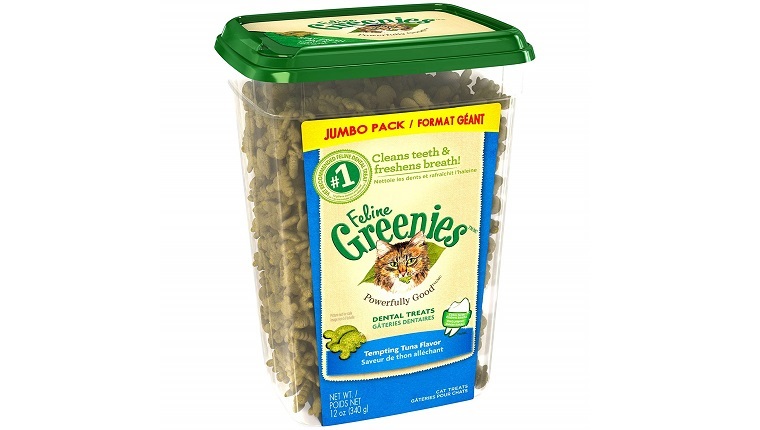 Greenies are a go-to when it comes to dog and cat treats. 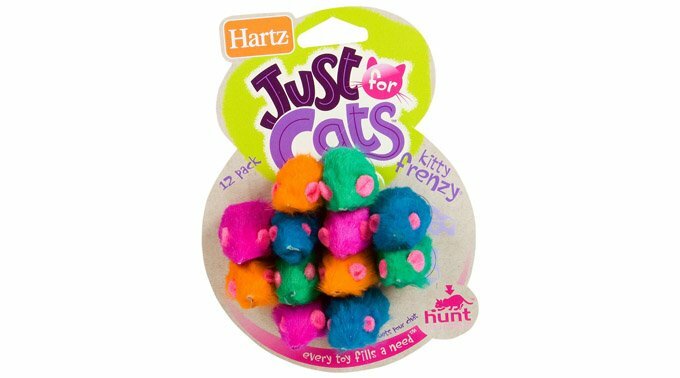 The great thing is that they’re good for dental health, and cats still seem to go nuts for them. Greenies also makes dog treats, which you should check out if you have a multi-species home! Send your cat on a mouse hunt. The best part is that no mice will actually be harmed in this game. 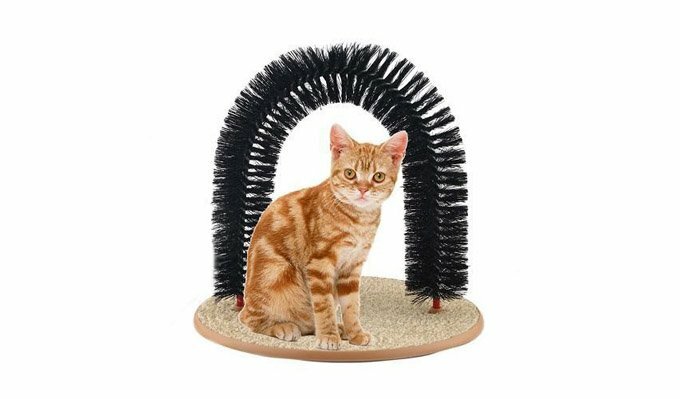 Your kitty will love to brush their fur against this arch brush and sharpen their nails on the base. It’s an easy way for cats to groom themselves. 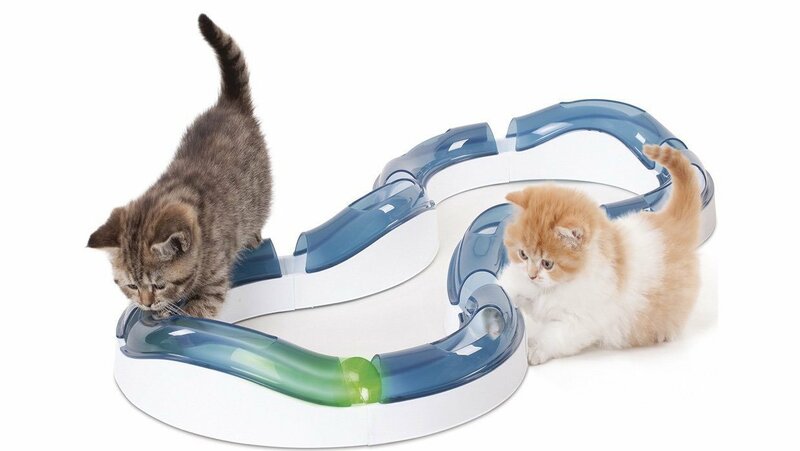 This is a great toy for homes with more than one cat! They can all gather around and enjoy pushing balls around the track! Your kitty can wear this for fancy parties, or just because it look and sounds cute. It’s perfect for black tie events! 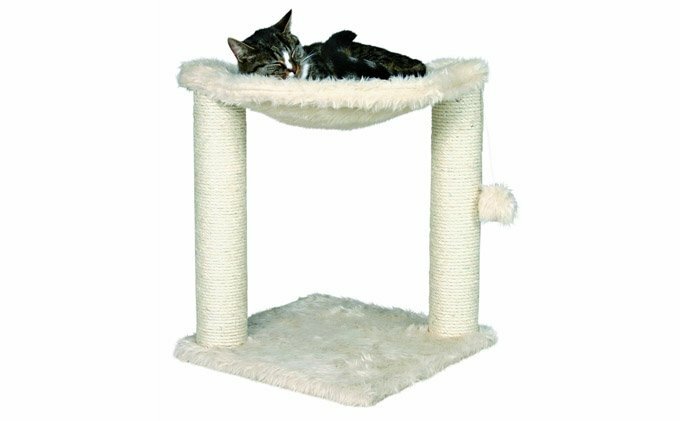 This is a variation on the cat hammock with plush fur and scratching post legs. Your kitty will love relaxing after having a nice scratch to keep those claws in shape. What would your cat love to get for Christmas? Let us know in the comments below!